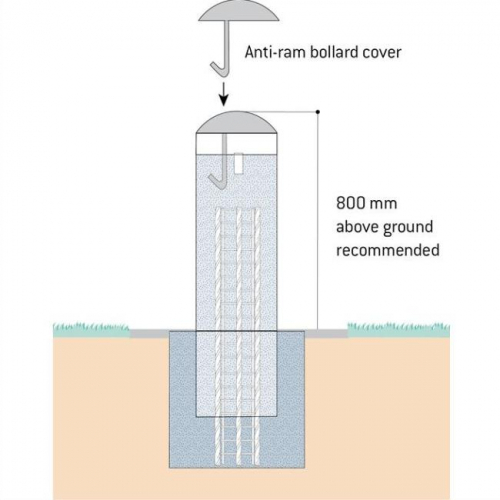 Anti-ram bollards are specially designed for deterring and stopping ram raiders. 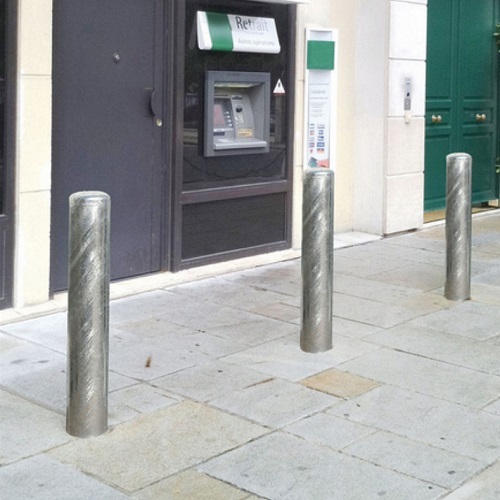 They are highly recommended for the protection of ATM machines, banks, store fronts and jewellers. The bollard is supplied empty ready to be filled with reinforcement steel bars or cage (not supplied). Fill with concrete then add the domed top which is held in place by a hook.